If there’s one theme that has captivated artists, musicians and poets for centuries, it’s the lure of the ocean. The ability to step aboard a vessel and travel to exotic locales - simply because you can - has drawn kindred spirits to the sandy shores of Southern California for generations. This wanderlust and love of seafaring are reflected in the annual Tall Ships Festival, held each summer in the picture-perfect location of Dana Point. Over the course of three days, landlubbers and sea dogs alike can marvel at the impressive sight of tall ships dotting the horizon just off the coast of Dana Point. Get into the action as actors recreate battles, complete with the sound of cannon fire. 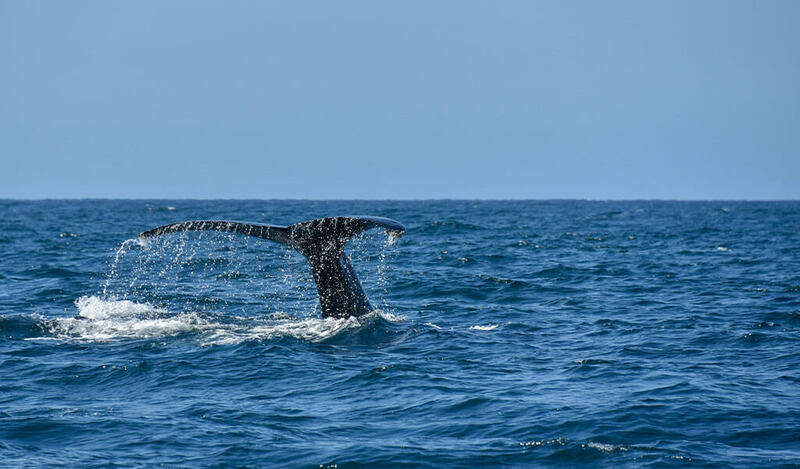 The event also features plenty of fun for the entire family along with food, drinks and entertainment to get you in the mood for some serious ocean exploration. The event kicks off on Friday night with the Parade of Sail, a chance for tall ship owners to display the magnificence of their ships and an opportunity for visitors to snap countless jealousy-inducing photos and videos for social media. On Saturday morning, young pirates can enjoy the Mermaid Breakfast featuring pancakes, craft making and an underwater mermaid experience you have to see to believe. 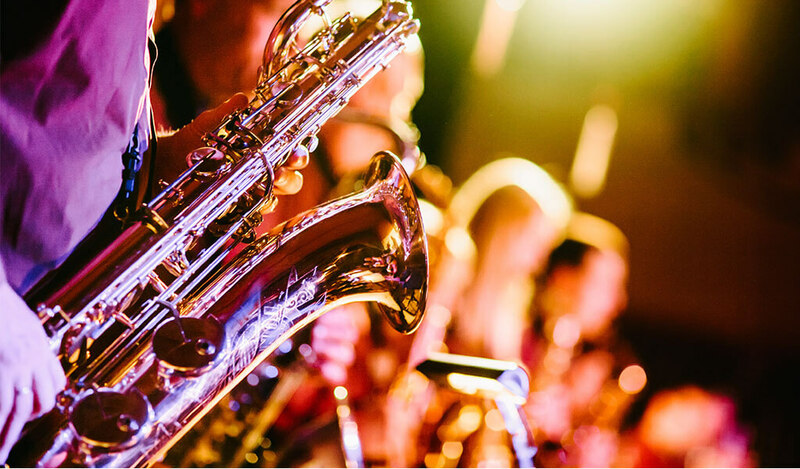 For the brew lovers, there’s Sails ‘N Ales, offering craft beer tastings, a beer garden, live entertainment and food trucks aplenty. Shuttles are offered at multiple locations throughout the festival. But the true highlight of the Dana Point Tall Ships Festival comes on Saturday and Sunday afternoons when the participating ships let loose with cannon fire for mock battles in the ever-popular Cannon Battle Sails. Here, you’ll experience what it was like to be ambushed by marauding pirates or enemy vessels as the cannons thunder to your left, then to your right, then from all around. It’s a can’t-miss event for the whole family and most people stick around to watch the battles both days. 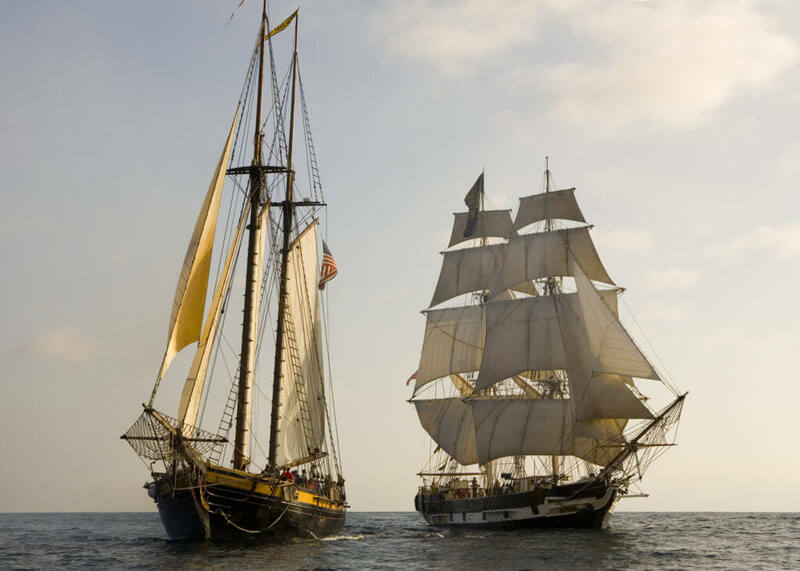 For tickets and details on the next Dana Point Tall Ships Festival, visit the official site. It’s one thing to see the tall ships from land, but it’s an entirely different experience to step aboard these floating pieces of art. Throughout the festival, visitors can tour several of the visiting ships as well as the Brig Pilgrim and the Spirit of Dana Point, both of which reside full-time in Dana Point Harbor. Made famous by Richard Henry Dana’s 1840 travelogue “Two Years Before the Mast,” the Brig Pilgrim is a full-scale replica of the very ship Dana sailed on in 1834. 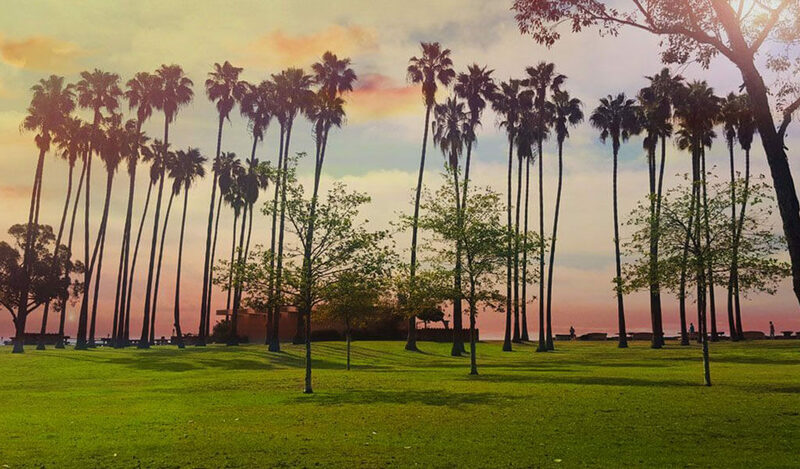 It has called Dana Point Harbor home since the early 1980s. The Spirit of Dana Point is a battle-ready schooner just like the ones sailed during the American Revolution in the 1700s. Built in 1983, she features a one-hundred-foot main mast and total length of 118 feet. Both ships belong to the Ocean Institute and are available for public tours year round. In previous years, visiting ships have included the America, the Bill of Rights, the Californian and many others. To learn more about this year’s event lineup and list of visiting ships, visit the Ocean Institute website.